A friend let me borrow his Mirai, and I honestly believe this will be the way of the future once oil and gasoline become impossible to use practically any more. I like the idea of an electric car, but it’s impractical for most families to have to wait hours in between charges if they have an active lifestyle. 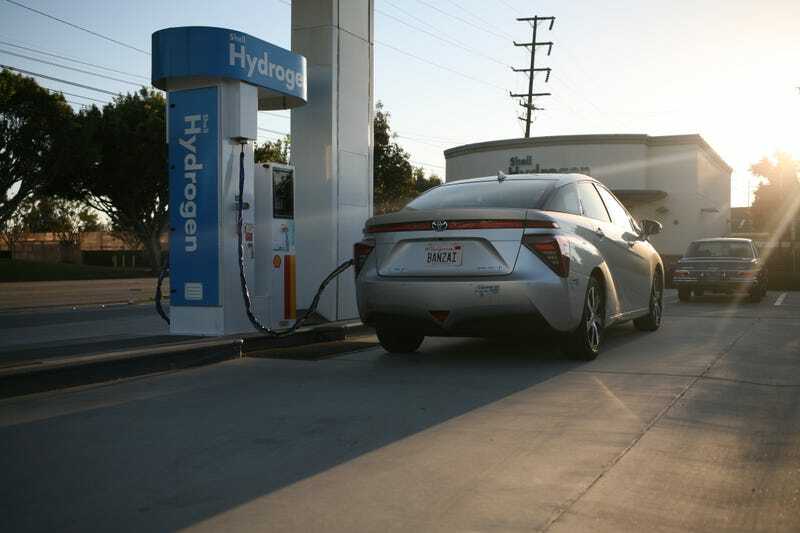 With a hydrogen car, it’s just a 15-20 minute fill up for the same amount of battery life. It’s also rather enjoyable to drive. There’s instant torque, it’s smooth as hell, it’s easy to find the limits and surpass them on skinny tires. The lane departure system is hilariously fun to annoy, and the radar cruise control is awesome. For what it was meant to be (a hydrogen Prius), it works fantastically well. I’ll be bringing it to the Petersen tomorrow morning for the Japanese Car Cruise In if anyone in SoCal wants to check it out.